Fast Deployment in the Bike-sharing World this Week! 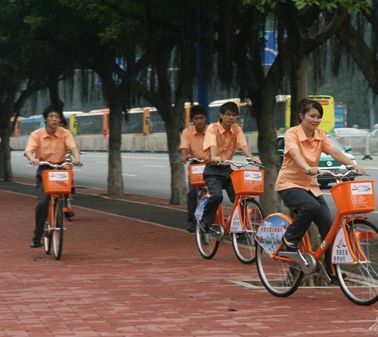 In the burgeoning world of Chinese public bicycles, Guangzhou (Canton) which only last month was just talking to consultants, ITDP & Alta Bicycle Share, about starting bike-sharing, began its service today. Eighteen of 50 stations along Guangzhou's Bus Rapid Transit Line opened this morning. The service starting with 4,800 bikes will have 10,000 bikes by the end October. 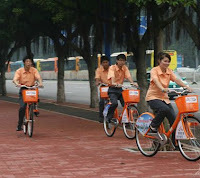 There is no charge for the initial hour and one yuan (15¢ US) for the next hour, as reported by Guangzhou News. 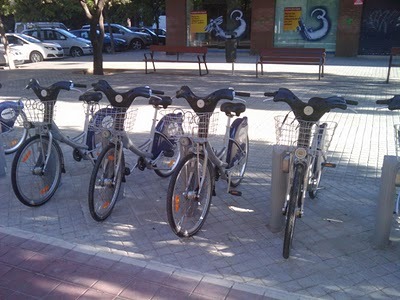 This week stations of Valenbisi began to open up, The Bike-sharing Blog reported on April 15, 2010 that JCDecaux had just signed an agreement with Valencia, Spain for 275 stations and 2,750 bikes. In two months, the system was up and running. The yearly subscription is a reasonable €18 ($22 US) and the first 1/2 hour of usage is at no charge. These two cities demonstrate how quickly, once a government embraces bike-sharing, services can be put into place. 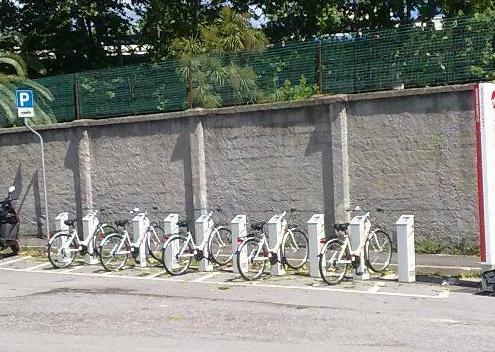 Elsewhere in the bike-sharing world, Savona, Italy opens its branch of Bicincittà on Saturday. It is a small system of 7 stations and 70 bikes for this city near Genoa. Here, the first hour of usage is at no charge. B-cycle has gotten the approval from the San Antonio, Texas City Council to operate a system with its "Texas maintenance partner" -- Bike World. This will be done through the nonprofit Bike Share San Antonio; a bike-share, rental, and tour service with 14 stations and 140 bikes. The stations and bike will be similar to Denver B-cycle. According to the San Antonio Business Journal, watch for an opening at the beginning of next year. 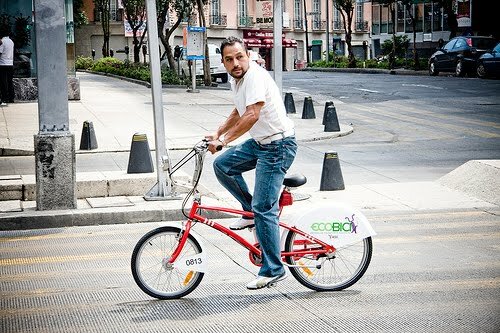 Even more B-cycle news: Chicago will have a B-cycle demonstration system with six stations and 100 bikes this summer and into the fall, according to Chicago Now. 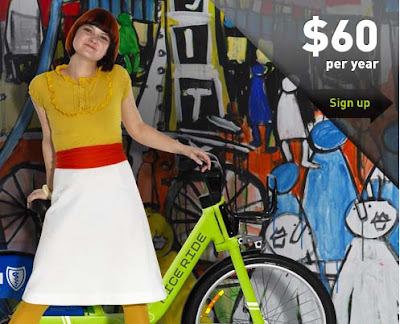 For $35 for a month, $45 for two months, and $55 for three months residents, commuters and visitors in Chicagoland can taste real bike-sharing. America's first 3rd generation (high tech) bike-sharing service launched in August 2008 with SmartBike DC, in April 2010 Denver B-cycle launched, and today marks the launch of the U.S.'s third, and largest, bike-sharing service with Minneapolis's Nice Ride Minnesota. 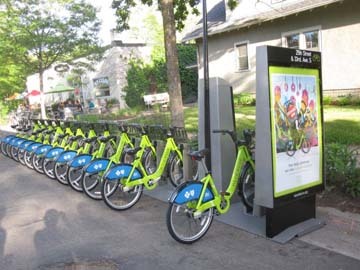 The service is beginning with 700 bikes and 65 stations with plans to expand to 1,000 bikes and 75 stations over the coming weeks in downtown and close-in neighborhoods of Minneapolis as well as the University of Minnesota. Due to Minneapolis's harsh winters, Nice Ride will be available for use between April and November. The annual subscription cost is $60, with a student rate of $50. Nice Ride Minnesota, a non-profit, is the organization operating the service using Public Bicycle System Co.'s technology. According to Nice Ride's website, "Nice Ride Minnesota was formed through the Twin Cities Bike Share Project, an initiative started by Minneapolis Mayor R.T. Rybak and the City of Lakes Nordic Ski Foundation in July 2008. After meeting with stakeholder groups and evaluating bike share systems, the Project prepared a non-profit business plan and sought public and private funding." The service was funded through a Federal Highway Administration grant and the Blue Cross and Blue Shield of Minnesota Center for Prevention (funded through a tobacco litigation settlement). With Minneapolis ranking 2nd in the nation for the number of people who commute to work by bicycle as well as being named America's most bike-friendly city by Bicycling Magazine, Minneapolis just got a lot more bike-friendly. Look out Amsterdam and Copenhagen, Minneapolis is pedaling fast to catch up. 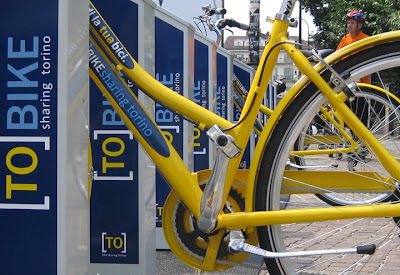 The second largest bike-sharing program in Italy started today. 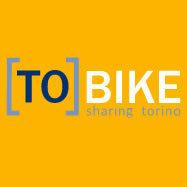 [TO]Bike of Turin began opening the stations to its 1,200-bicycle and 116 station service. It will be completed and fully operational by the end of the summer. [TO]Bike will be second in size to Milan's very successful and expanding 1,400-bicycle BikeMi system. 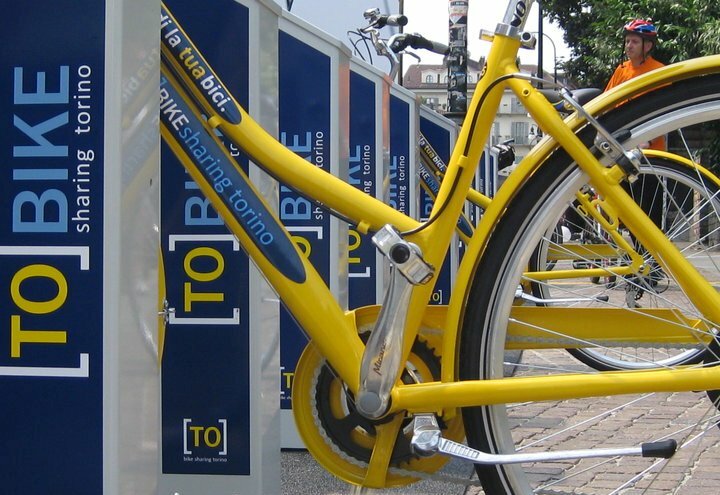 [TO]Bike is part of the Bicincittà, which has bike-sharing programs throughout Italy and Switzerland. In Turin, the annual subscription to the system is very reasonable at €20 ($24 USD). There is a weekly pass at €5 ($6 USD) and a daily at €2 ($2.40 USD). 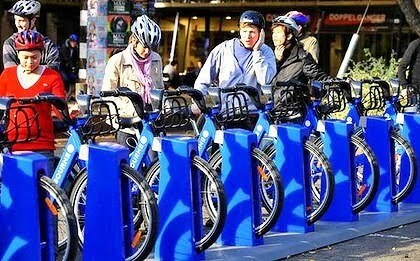 As with most bike-sharing systems, the first 1/2 hour of usage is at no charge and then each 1/2 hour thereafter escalates in price.